Live an E.P.I.C. Life Today! Another saying is: Live each moment as if it’s your last. We nead to bear in mind that we can never undo past actions. This is so true. Lives hang in the balance. 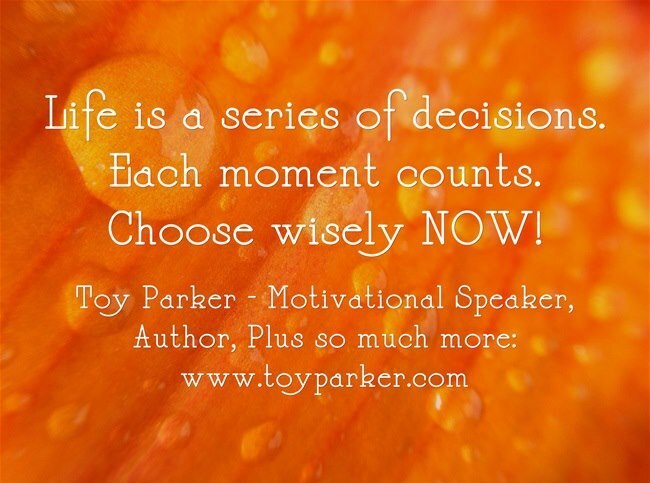 I always say life is a series of decisions so each moment counts! easily share my own experience and feelings online. Please let me know if you have any kind of suggestions or tips for brand new aspiring bloggers. Thanks so much for your great feedback! It does take a lot of hard work if you want to have a quality website. It will be worth it. You could start off with a template website where all you have to do is post your work and build from there. There are some great ones out there. Feel free to go to the TOY LIVE portion of this website for a coaching session request, if needed. Go ahead and get started and let me know how your journey to blogging goes! the time and energy too putt thjis short article together. writing posted at this web page is really pleasant.